Millions of dog owners today enjoy the benefits of stress-free walks thanks to the Gentle Leader head collar. Designed so that owners can communicate with their pet in a way they instinctively understand, the Gentle Leader painlessly and effectively removes the dog's natural tendency to pull by placing gentle pressure on calming points and eliminating uncomfortable pressure on the throat. In addition to reducing a dog's desire to pull away, the Gentle Leader is also a very effective tool in combating lunging, jumping, excessive barking, and helping to calm an aggressive and/or anxious animal. 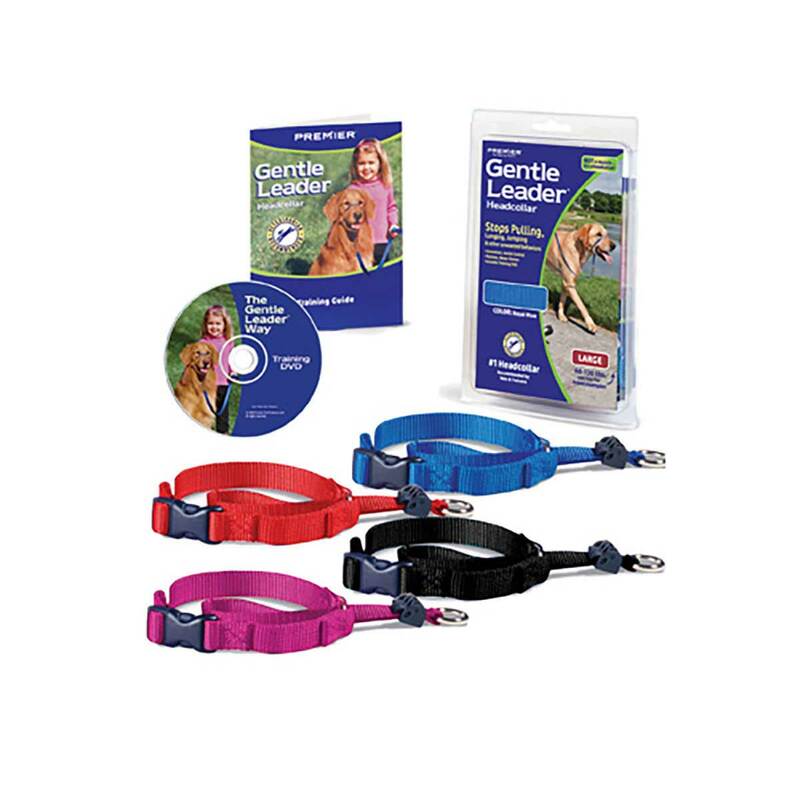 All Gentle Leader includes an easy-to-follow fitting instruction, an abbreviated training guide, and a more comprehensive training DVD. Available in Black, Red, Royal Blue, and Raspberry.